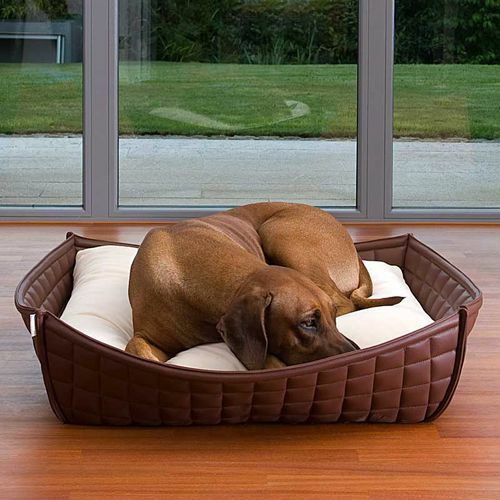 With this orthopaedic dog bed out of faux leather, you will create a perfect relaxing wellness oasis for your dog. This comfortable latexfilling is specifically developed and optimized for our best dog beds. The filling is permanent elastic, and absolutely of low noise when the dog moves, thus enabling a quiet and restorative sleep. Your dog will love it!